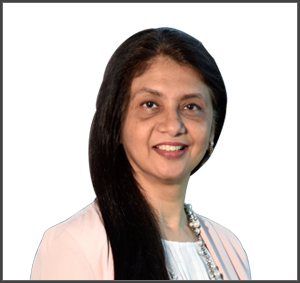 A senior professional in the financial services industry, Kalpana Maniar brings with her over three decades of experience in the Financial Services domain from business and information systems perspective. She is currently leading Digital transformation, IT Strategy and Cyber Security at Edelweiss Financial Services Ltd through enterprise technology and strategic initiatives. Prior to Edelweiss, Kalpana worked as an independent consultant to leading investment banks and stock broking companies on strategy, technology and business expansion. She has earlier worked with i-flex Solutions Ltd (now Oracle Financial Services Software Ltd) and the Bombay Stock Exchange (BSE). Kalpana like several of her senior management colleagues at Edelweiss is a fitness fanatic. She is actively engaged with the social sector and does volunteering work in the area of environment and rural education.